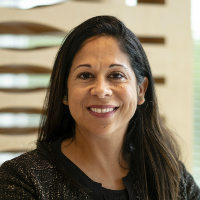 Lisa Feria is the CEO of Stray Dog Capital, a mission-driven Venture Capital firm that invests in early-stage companies that aim to take animals out of the supply chain with innovative products and services. She is a seasoned business manager with over 15 years of experience running organizations and businesses. She has worked with blue chip companies such as Procter & Gamble and General Mills and on businesses ranging from $350 MM to $2.5 BN. Lisa has an MBA from the University of Chicago where she was voted “one of the 25 most influential MBA students,” and a Bachelor’s degree in Chemical Engineering from the Georgia Institute of Technology. Lisa enjoys a plant–based diet and lives in Kansas with her husband, two boys, and many dogs. In 2017, Lisa was selected to the prestigious Kauffman Fellows program and is a recipient of the Heartland Scholarship sponsored by the Kauffman Foundation.